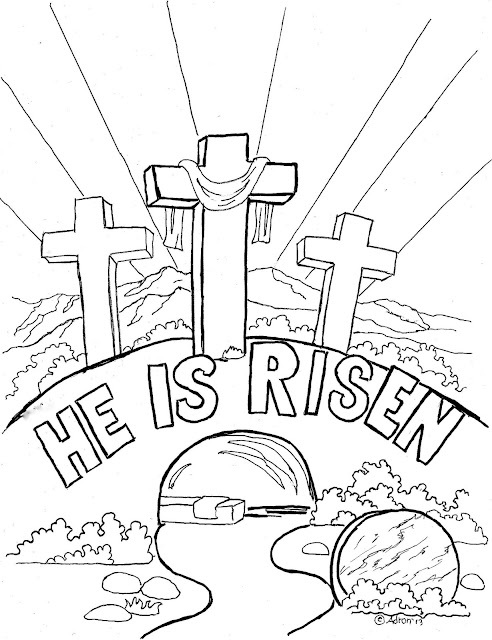 Coloring Pages for Kids by Mr. Adron: Easter Coloring Page For Kids, "He is Risen"
Free He Is Risen printable coloring page that parents and teachers may print and give to students. I drew this picture for my church kids to color after a lesson on Easter. The message is that "HE IS RISEN." This can be an extra part of a Sunday School Class or children's church. It can be given out as a take-home project to support the lesson. IDEA: I have several Easter themed pictures you can print off and staple into a book to give at Easter Celebrations, Church, parties, or place in your business waiting room. I Am The Resurrection And Life Coloring Page. Christ Rose Again, 1 Corinthians 15:4. I Am The Good Shepherd. John 10:11. Christ Died For Our Sins 1 Corinthians 15:3. 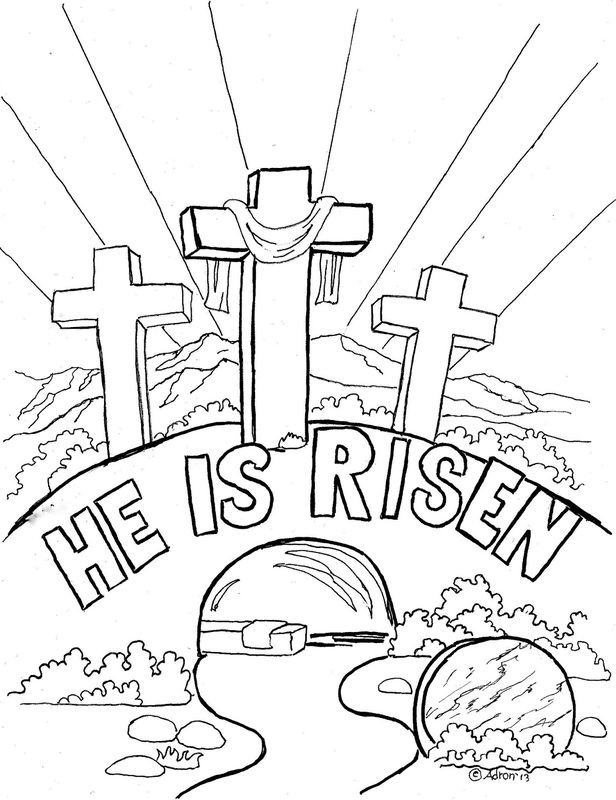 Easter Coloring Page for Kids. Here are two links that have been updated to look better and print better. CLICK HERE for a file in JPEG photo format. There are many areas for coloring in this picture. The cross can be brown or gray. The cloth is normally purple or blue. The sky is the sunrise colors of yellow, teal, and light blue. The distant hills can be purple and lavender. The tomb can be purple or violet, The stone and the hill can be gray or tan. The bushes can be green and the road can be brown. 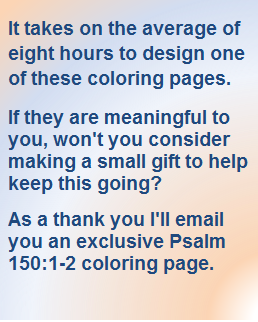 To see more free coloring pages like this click on the label for Easter in the sidebar. To find more like this use the search- box or choose from the most popular listed on the right. I am sure you will find one you will like. With The PDF type of file, you may have to download a temporary file by first opening the link then click the down-pointing arrow in the toolbar, next open the file by clicking on the box at the bottom of your screen, or your downloads folder, and then print by clicking on the printer icon or as you would normally.